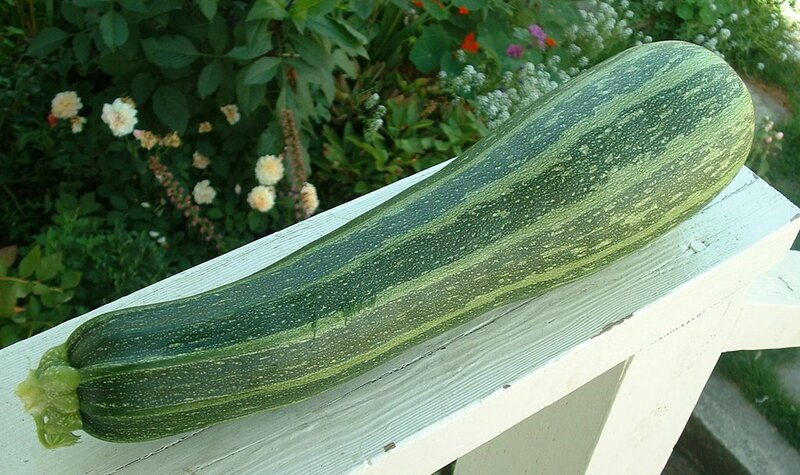 Late summer usually means an overabundance of summer squash for gardeners – namely, zucchini. I am no exception, especially when they get to be the size of this beauty. So, what to do with your bounty? I’ve got a few suggestions. The first is to saute it with a little olive oil and garlic and add it to a quiche. I had a little pie crust leftover from making a blueberry pie and decided to make one for dinner the other night. I think a lot of people are intimidated by quiche, but it’s actually one of the easiest things you can make (especially if you’ve already got the crust on hand). 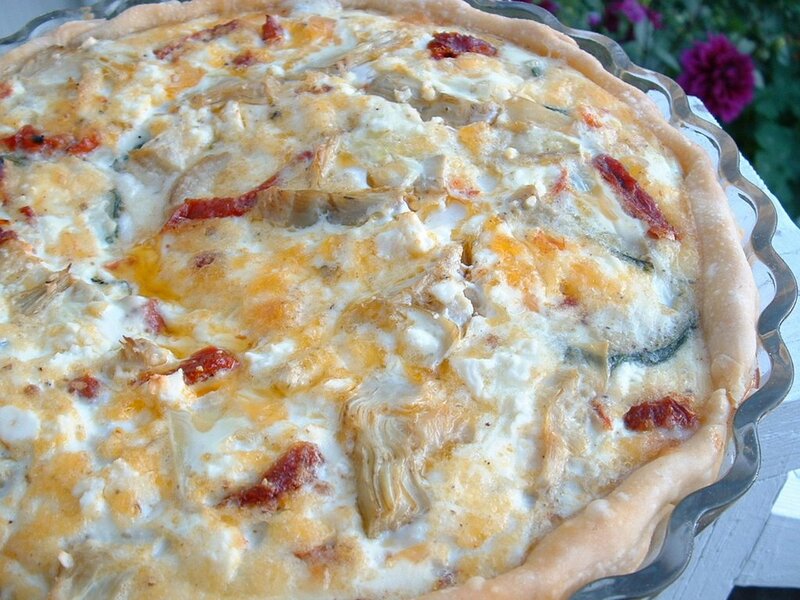 In addition to the zucchini, I added some sundried tomatoes, feta cheese and artichoke hearts. It was as yummy as it was pretty. I think our favorite thing to do with zucchini is to bake it into a cake. A Chocolate Zucchini cake to be exact. This one is a combination of several different recipes that I’ve seen over the years, and we think it tastes pretty good. It gets even more moist a day or two after baking, so be sure to savour it. Cream the first 5 ingredients together until well mixed. Pile the flour, cocoa, baking soda, salt and spices in the bowl. Pour the buttermilk in and mix just until incorporated. Stir in the zucchini and walnuts (if putting any in the batter). Pour into a greased 9 x 13 pan. 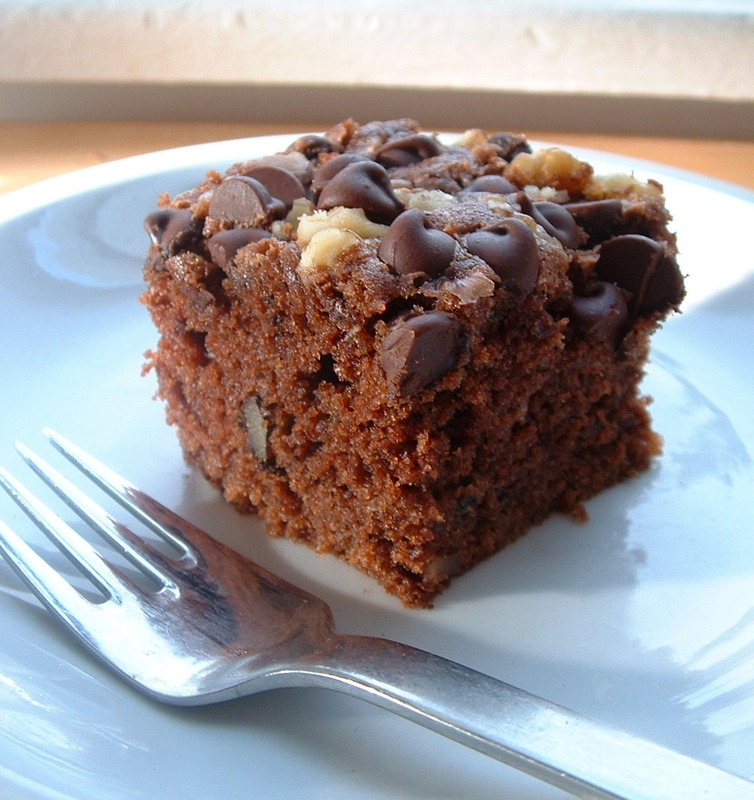 Sprinkle the chocolate chips and remaining walnuts over the top. Bake for about 50 minutes or until a tester comes out clean. Cook cake completely in the pan. I’ve made both of these things this week and still have about a third of that huge zucchini left. I think I’ll prepare it for dinner tomorrow in one of the simplest and most satisfying ways – sauteed in olive oil with garlic, and topped off with a sprinkling of salt, pepper and a little grated parmesano reggiano. Enjoy the zucchini glut while you can! Check out Sweetnicks’ ARF/5-A-Day Tuesdays for lots of great healthy recipe ideas. Bookmarking this page! But now, how do you make quiche? I’ve tried several different recipes and never seem to get the custard feeling just right. I’m about ready to give up.